A lot of people say that Barrington, Illinois is one of the most haunted places in Illinois because of Cuba Road. I have actually experienced the phantom car, but it was a little different. I was in the car with my friend at night going to the library when we saw a car that was in a ditch on the side of the road. Everyone could see it. My friends mom got out of the car to see if they needed any help. When she got there, the radio inside was on, the lights were on, and she saw a child looking out of the window. When she stuck her head through the open window, the child was not there, but when you put your head back out you could clearly see the child. The car was black, and when we went back there again, the car was nowhere to be found, but when you went there back at night, the same exact thing happens. Another thing I have experienced is our piano. It is 120 years old and was from France. We still have it in our house. A lot of the keys don't work but at night they are able to play. So one time I was sleeping and I woke up randomly. It was about 1:30 in the morning. 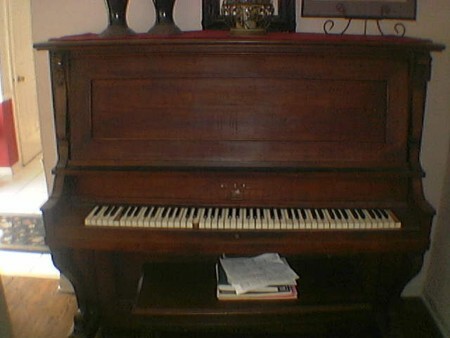 I just laid there for a moment, and at that second, I could here the piano downstairs playing some Mozart song. No one in my family knows how to play that good. I am the only one that knows how to play, but I can't play Mozart songs. I live right by there. What time did you see the car in the ditch and does it happen every night?.